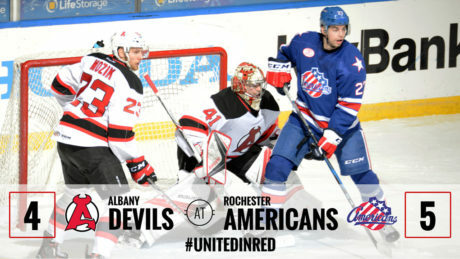 Nick Lappin tipped in a Carter Camper shot with 45.5 seconds remaining to give the Devils a 3-2 victory over the Amerks Friday. 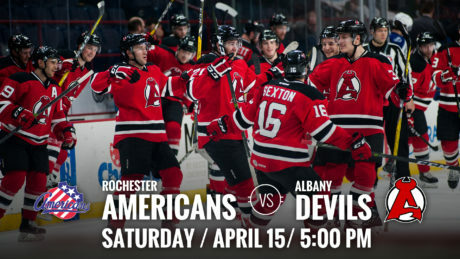 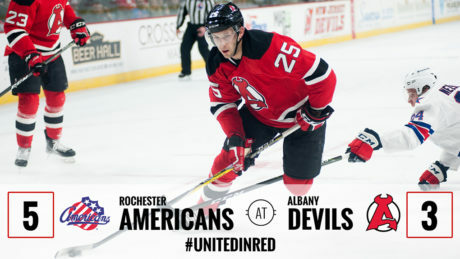 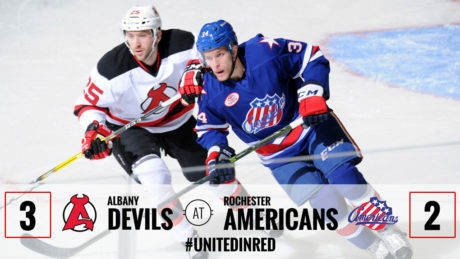 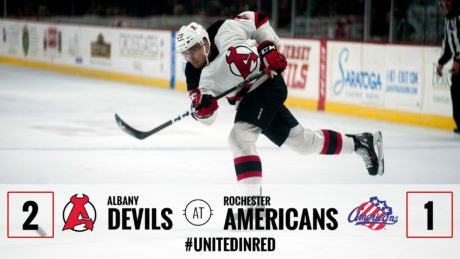 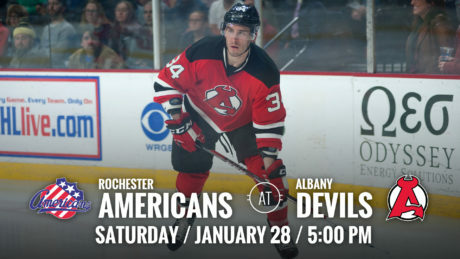 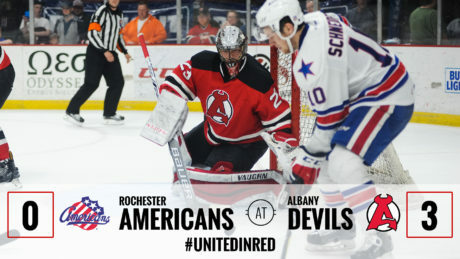 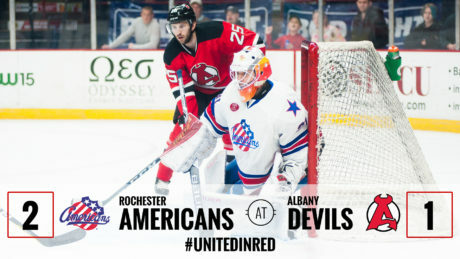 The Albany Devils fell to the Rochester Americans, 5-3, Saturday at Times Union Center. 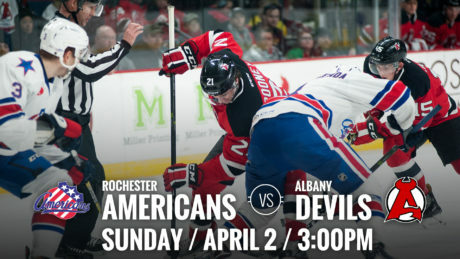 The Devils and Americans face off tonight for a 5 pm puck drop at TU Center. 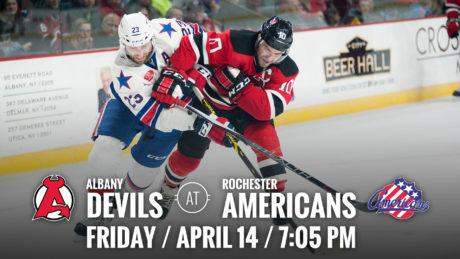 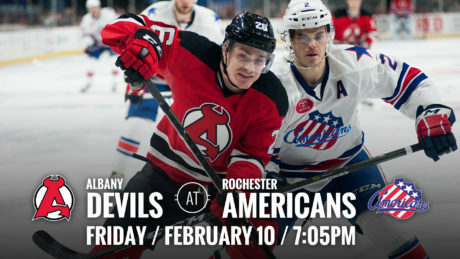 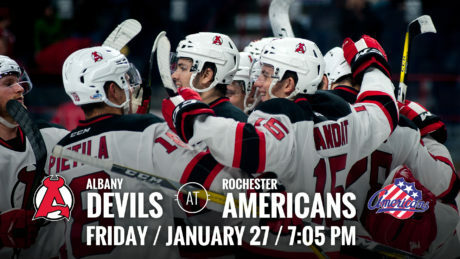 The Devils travel to face the Americans for a 7:05 pm puck drop Friday at Blue Cross Arena.